Thank you for making your metabolism-changing decision to use the BioCorrect Nutrition™ System. Your BioCorrect Nutrition™ Analysis Hair Collection kit should arrive at your home or office within 2-3 business days via USPS Priority Mail after ordering online at biocorrectnutrition.com or by calling BioCorrect Nutrition™ customer service at 949-315-8338. Follow the directions below to collect your hair specimen at home and mail it back to us in the included self addressed envelope. 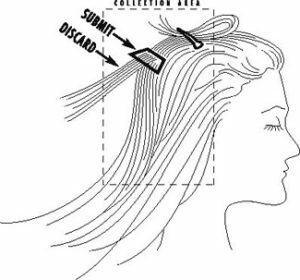 The recommended area for collection is in the back of the head between the ears and from the top of the head to the hairline on the neck. Each collected sample should be taken in at least four different locations on the scalp in the suggested area. High grade stainless steel scissors should be used to cut the hair as close to the scalp as possible. The length of the collected hair should not exceed one and one-half to two inches. The portion closest to the hair root (proximal) should be retained and the excess discarded. Note: The proximal portion is reflective of the most recent metabolic activity. Note: Too little hair will result with an Insufficient Specimen result and will require a new hair sample to complete the analysis. The hair should be sufficiently dry after showering when collecting the specimen. 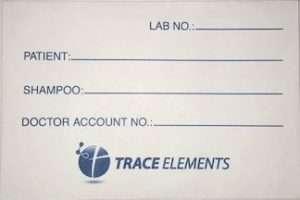 Note: We review each submittal form before sending your hair sample to the lab. 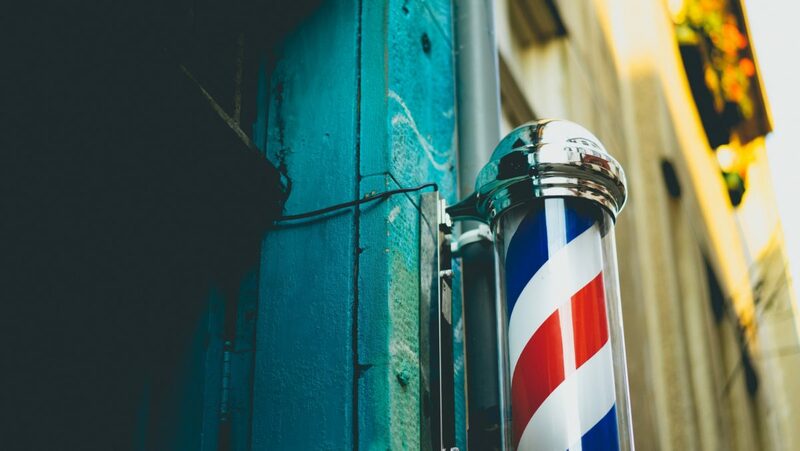 If information is missing, we will follow-up with you by phone or email before submitting your hair for analysis. MAIL IMMEDIATELY! Hair samples older than three weeks are inaccurate. If you ordered your BNA online, you’re already have an account. If you haven’t already set up your online BioCorrect Nutrition™ account, make sure that you place your next BNA order online. We’ve put a lot of nutrition education online that is open to everyone; however, we have proprietary knowledge for those that follow the BioCorrect Nutrition™ system. Special invitations to webinars, podcasts, radio shows and seminars that aren’t available to the general public. You can even start asking questions online about how to interpret your test results, what to expect from your report or even make a suggestion about topics for upcoming newsletters. 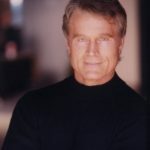 How often do you get to rub elbows with a three-time Natural Mr. America, who is also a former Olympic medical staff clinician and board-certified naturopath; and has treated over 200,000 patients including amateur and professional athletes, actors and actresses, and other celebrities using his system? You will receive a password protected email with your BioCorrect Nutrition™ Analysis test results, a pre-consult questionnaire to help you prepare questions for your consult with our health and nutrition specialists, and a request for potential dates and times for your consult. 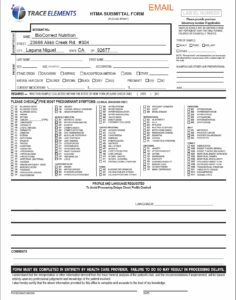 Please send the completed pre-consult questionnaire to feelgreat @biocorrectnutrition.com so that we understand any specific goals or health challenges prior to your consultation. You will also find your recommended 30-, 60-, 90- and 120-day supplement recommendations as the last page of your BNA report. If you ordered your BNA online, you can add the number of bottles of each supplement listed to the 30-, 60-, 90- or 120-day cart option to place your order online. This allows for you to increase or decrease a specific supplement if you have remaining tablets from a previous order. 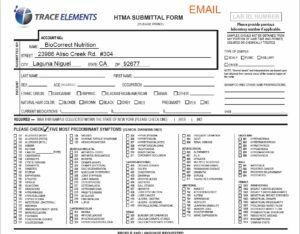 If you prefer, you can call BioCorrect Nutrition™ customer service (949-315-8338) if you wish to order by phone or if you have any questions. 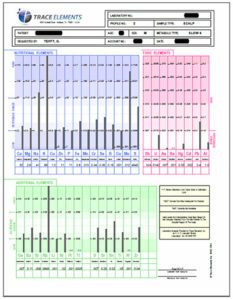 Depending on your metabolic type, biochemical balance and toxic metal interferences, your BNA report will recommend a fresh BNA in 60-90 days from the date of testing. Why? If you follow the food and supplement recommendations in your BNA, your biochemical imbalances and toxic metal interferences will begin to change with your food and supplement recommendations changing along with it. Fast 1 and Slow 1 metabolisms typically get tested every 90 days and metabolic types with stress patterns being tested every 60 days. This is because their biochemistries generally go through faster and greater changes than those with Fast 1 and Slow 1 metabolisms. If you rigorously follow the system, our hope is that you can move to an every 6-month maintenance testing program with minimal supplements once you reach biochemical balance. When starting out, most people benefit by ordering either the 60- or 90-day supplement supply to line up with their BNA retest process. Following the retest process, you save money in shipping costs and larger supplement containers cost less than the smaller bottles. We at BioCorrect Nutrition™ are excited to help you get metabolically healthy. Stop Guessing. Start Knowing… It’s In Your BNA! Dr. Greg Tefft, Board Certified Naturopath (A.N.M.A. ), Doctorate in Chiropractics (L.A.C.C./S.C.U.) and Triple-Crown Natural Mr. America is “America’s Leader in Personalized Nutrition.” Dr. Tefft is a best-selling author, pioneered the lab-guided, personalized nutrition system at Malibu Health and Rehab in the 80’s and 90’s, member of the 1984 Olympic Team Sports Medicine Staff, and is the co-founder and Chief Science Officer (CSO) of BioCorrect Nutrition. Although the Biocorrective Supplements used are FDA audit compliant and this HHS licensed laboratory’s program has been clinically proven, these statements have not been directly evaluated by the FDA. This product is not intended to diagnose, treat, cure, or prevent any disease as a substitution for standard medical care. Join our mailing list to receive the latest news and updates from our team. We will keep you informed with healthy tips and product news from BioCorrect Nutrition. And we promise not to sell your information. That would be rude!